This is a must have floral dress! Our Mint Sleeveless Maxi Dress with Pink Floral Print features a pretty Pink floral print, comfy sleeveless style and pockets! Approx. 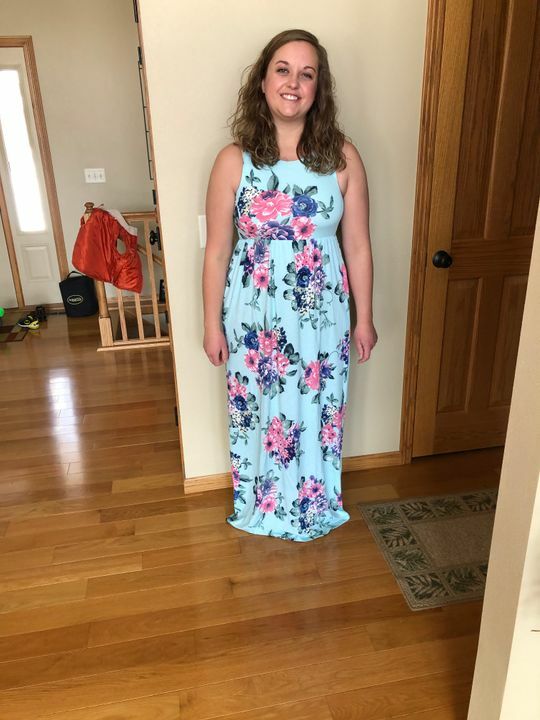 Length (shoulder to bottom hem): -Small 58.5" -Medium 59" -Large 59.5" -X-Large: 60"
Kristi F. Reviewed by Kristi F.
My daughter is in a beach wedding and this is a perfect dress. The length is perfect and the dress is very well made. Anna Ensley S. Reviewed by Anna Ensley S.
I love, love, love this dress!! Fits perfectly, and has pockets!! Excellent, quality product, fast shipping! Love all the dresses I have purchased from you! So cute! Fits perfect and love the pockets. Color is as pictured. Works great with razor back bra.